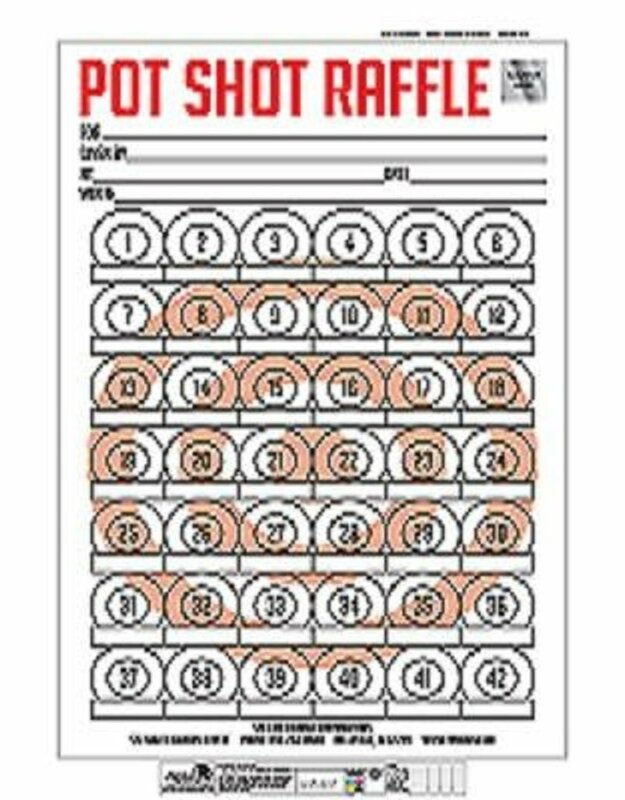 Pot Shot Cards have 42 numbered circles. You sell each circle and have the person write in their name and phone number. After the card is sold out, you scratch the seal off at the top of the card and the winning number is revealed. Great fundraiser for small groups. Check your local raffle laws for legality.